St. 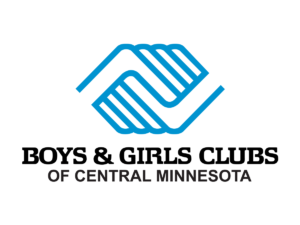 Cloud, Minn.— Boys & Girls Clubs of Central Minnesota recently received a $20,000 grant from Delta Dental of Minnesota to provide the Healthy Smiles Healthy Kids program at the Roosevelt, Southside and Eastside units for two consecutive years, from 2019 – 2020. This grant is part of approximately $475,000 in grants made annually by Delta Dental of Minnesota to a range of organizations around the state – all of which promote improved oral health and related overall health. Delta Dental of Minnesota’s philanthropic giving focuses on choosing grant recipients that show innovative strategies to expand oral health access for Minnesota’s underserved populations; demonstrate significant opportunity to promote and expand preventive and education services; and show an ability to measure results. During National Boys & Girls Club Week, the Roosevelt Boys & Girls Club is hosting Healthy Smiles Healthy Kids Day on April 10th from 3:30 – 5 p.m. This is a health fair focusing on oral health, and a number of community organizations will join the Boys & Girls Club to help kids learn how to take care of their teeth and bodies with fun, engaging, hands-on learning activities. For more information about Healthy Smiles Healthy Kids Day, please contact the Boys & Girls Club at 320-252-7616. Delta Dental of Minnesota is an independent, nonprofit health services company that serves the oral health needs of Minnesota and North Dakota residents. Since 1969, Delta Dental of Minnesota has accomplished this mission by providing the best access across the state to oral health care through affordable dental plans. Delta Dental of Minnesota is an authorized licensee of the Delta Dental Plans Association of Oak Brook, Illinois. To learn more, visit deltadentalmn.org. In 2009, Delta Dental of Minnesota’s parent sold a company and used 100 percent of the proceeds to establish and fund Delta Dental of Minnesota Foundation. Since then, the foundation has worked to expand access to dental care for Minnesota’s underserved populations by primarily investing in programs and organizations that provide dental care to people in need. Since 2011, Delta Dental of Minnesota Foundation has invested more than $24 million in grants to nearly 83 programs and organizations that promote oral health. It is the largest endowed foundation in Minnesota with a mission to support oral health. Previous Previous post: On-site registration for Summer KIDSTOP starts soon!